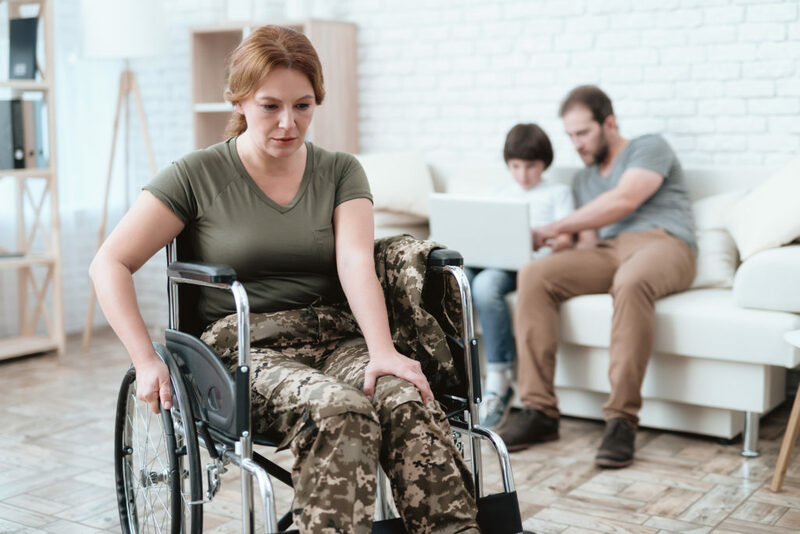 You applied for disability benefits through the U.S. Department of Veterans’ Affairs and, after a long wait, you have finally received a favorable decision, granting you veterans’ disability benefits. This decision should include a Notification Letter and a Narrative, explaining the reasoning used to determine your benefits. For any service-connected impairments, the VA should include a disability “rating” and explanation for each of the impairments listed in your decision, but what does it mean? How much compensation will you receive each month? Here are some answers. 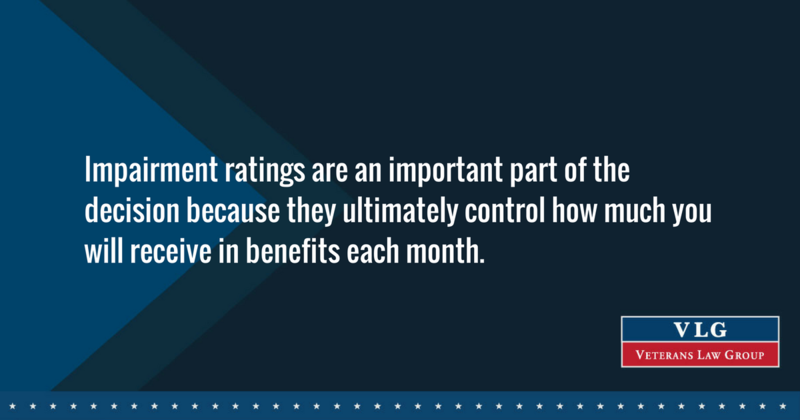 The Rating assigned to your impairments is often the most confusing part of the decision. The VA created the Schedule for Rating Disabilities to identify what % should be applied to each impairment. This schedule is intended to reflect the loss in earnings that you may experience because of your impairments. Ratings range from 0% to 100%. The Schedule for Rating Disabilities lists impairments by body parts affected and conditions/issues. Each diagnosis within the group of issues has a list of symptoms that the VA Rater will compare to your symptoms and the evidence in your medical record, including your C&P exam. Your symptoms are then rated according to the requirements listed in the Schedule. The more severe your impairment is, the higher the disability rating will be. For example, if you were experiencing symptoms of post-traumatic stress disorder (PTSD) as a result of your time in the service, you would find the section titled “Mental Disorders,” which includes PTSD, Depression, Anxiety, and MST. The table for PTSD indicates that if you have occupational and social impairment in most areas resulting from symptoms such as spatial disorientation and suicidal ideation, you would receive a 70% rating for this impairment. If you have reduced reliability and productivity as a result of occupational and social impairment, you would receive a 50% disability rating, and occasional decreases in work efficiency would equal a 30% disability rating. If you have multiple impairments, the VA will assign a separate disability rating to each one. Unfortunately, the VA does not add all of the ratings together when determining your overall disability rating. Instead, once all of the ratings have been assigned, the VA will use the Combined Ratings Table to determine the final rating. The table has numbers on the left side and along the top. In order to calculate your combined rating (two impairments), you would take the first rating and find it on the left column of the table. Next, you would find your second rating in the top row of the table. The number that appears where the column and the row intersect will represent your combined rating. If you have more than two disabilities, you would follow the steps, as stated above, for the first two impairment ratings. Once that number is determined, find the new number in the left column of the table and then find the third rating in the top row. The number that appears where this column and row intersect will represent the combined rating. This process would continue for the remaining disabilities. This combined rating is then rounded up or down to the nearest whole number. The highest overall disability rating is 100%. If your disability is not listed in the Schedule, the VA will find a disability that is similar to your impairment and evaluate your disability based on the code for the related disability. Monthly disability compensation amounts vary depending on your disability rating and the size of your family. Your family size is determined by your marital status, whether you have any children in the home, and whether you have any other dependents or family members. 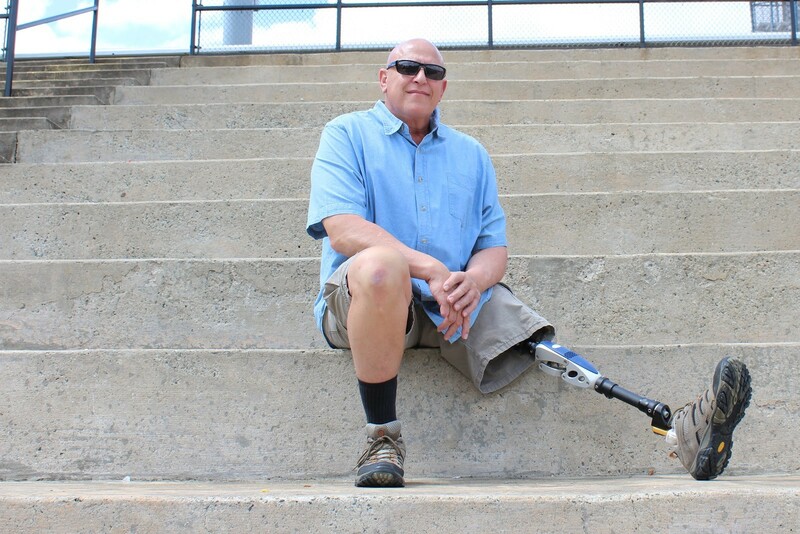 How Are VA Disability Compensation Pay Rates Determined? Increases in VA Service Connected Disability Rates are tied to Cost of Living Adjustments (COLA) determined by the Social Security Administration. The government uses these rates to determine the cost of living increases for Social Security recipients, retired military veterans, and federal civilian retirees. You can review your compensation based on your disability rating and family size here. As an example, a veteran without dependents and with a 30% disability rating would receive $408.97 per month. A veteran with a 100% disability rating who has a spouse and child would receive $3,197.16 per month. This amount increases based on Cost of Living Adjustments. VA Disability Compensation is a tax-free benefit paid to a veteran who is suffering from injuries or diseases sustained as a result of active duty or was made worse because of active military service. 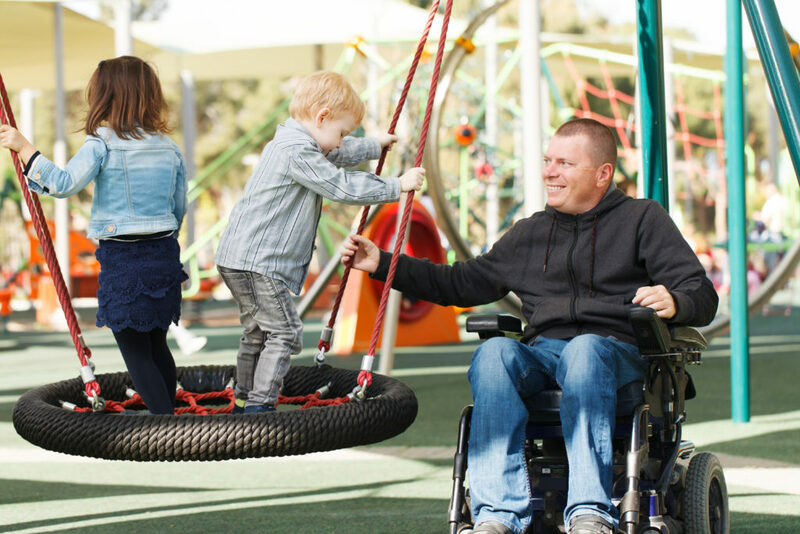 If you have a service-connected disability, then you may be able to receive compensation payments. Having a service-connected rating of 30% or higher, having dependents, if you have missing limbs, or if you have a disabled spouse increases your chances increases your chances of receiving additional compensation. You may be eligible to receive a higher VA disability payment if you have a disability rating of 30% or higher and you are also supporting qualified dependents such as a spouse, child, or parent. If you have a rating of 20% or lower, then a change in family status will not affect your VA disability payments. You will need to inform the VA to any changes in your family status, e.g., a birth, wedding, divorce, a parent moving in with you, a child coming of age, or the death of a qualified dependent. Sometimes the VA will backdate payments to make up for any shortfalls, or in the case of the loss of an eligible dependent, decrease your payments. What If You Disagree With The Rating? Impairment ratings are an important part of the decision because they ultimately control how much you will receive in benefits each month. For this reason, you should take your decision to your Veterans’ Service Officer (VSO) for review. At this time you can also seek the advice of an attorney. The VSO or attorney can review the decision, answer your questions about your benefits or the decision, and then help you determine if the Rating in your decision is an accurate representation of your impairments. If you do not agree with the VA’s determination, you have one year from the date on your decision to submit more evidence or file an appeal (Notice of Disagreement), if necessary. Finding answers to your disability claims questions doesn’t have to be difficult. Take our free quiz today to determine what resources are available for your specific needs.